Hi. Tom Jacoby here, NumberOneOnTheList.com. Here’s Tom’s tip for today, okay. Alright. Just so you know, Google had the most sweeping change in their search algorithm in fourteen years and it happened last August, very quietly. The change was code named “Hummingbird” okay and what it is, it’s semantic search rather than keyword search. Now before you all nod off, I’ll explain, right? Alright, semantic search has to do with the context and the topic. Let me explain. Alright, if you want to find out about hummingbirds and you’re doing a keyword search, you would search “hummingbird”. If you want to find about the life cycle of hummingbirds, where they live and things like that, you could search “life cycle of the hummingbird” or you can search “where hummingbirds live”. You see? So that’s the difference. One way is a keyword “hummingbird”, the other way is a topic like “where hummingbirds live”, “the life cycle of a hummingbird”. Alright, so that – that is a major change. “Alright Tom, so how does this affect me?” I’ll tell you. You need to make your pages deeper. What I mean by deeper is more informative. Just like “Hi, here’s where we’re located, these are our hours. Come on by.” Not enough. You want to say what your purpose is, what’s your mission statement, what your specialty is. You know? You want to mention a few successes you’ve had lately. That sort of thing. You want to go a bit deeper. You want to provide more in order to develop more interest, okay. You want to invite people to ask you questions, which you then answer and you can post that online. You know, you can prime the pump – ask a couple of people that you happen to have in your shop, just ask them if they have any questions. Get what the question is and answer that online, just to get it started, you see I mean, but the idea is to give in-depth content, to be engaging, to be interesting and to provide more information. That is the big difference between Hummingbird – the Google iteration of Hummingbird, which is semantic search and the old version, the pre Hummingbird version, which was keyword search, alright. It’s not just words anymore. Let’s discuss. 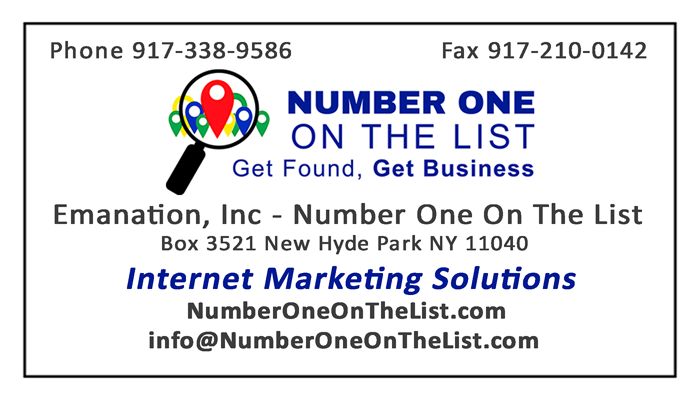 Tom Jacoby, 917-338-9586 or come visit me at NumberOneOnTheList.com. Looking forward to seeing you. Thanks.